Drug smuggling from Mexico is exacerbating the problem of abandoned horses, Marc Lacey reports for The New York Times from Arizona: "Mexican traffickers strap heavy bales of marijuana or other illegal drugs to the horses’ backs and march them north through mountain passes and across rough desert terrain. With little food and water, some collapse under their heavy loads. Others are turned loose when the contraband gets far enough into Arizona to be loaded into vehicles." 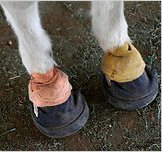 Mistreatment is common; some rescued horses have to wear hoof cushions (Times photo by Joshua Lott). A rural Kentucky family that was featured on "The Dr. Phil Show" told their local newspaper that they felt tricked, ambushed, manipulated and misrepresented by the producers. 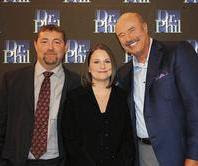 After the show appeared Dec. 2, Willie and Laura Essex (in photo with host Phil McGraw) told their experience to The Lebanon Enterprise, which published a story about it this week. Laura Essex said the episode, titled "Brat-proof your child," made it appear that she often yells at her triplets when she does not. She said the producers made the yelling appear worse by increasing the audio volume on home video she made for the show; told her husband to sit in the audience after telling them that they would be on the set together; and told them to say that they asked to be on the show, though they were recruited online by a show staff member. She had other complaints, including that McGraw revised some of his comments after the Aug. 23 taping and made it appear that they were made during the taping. "I think that was unfair," Essex told the Enterprise. "We couldn't change what we said." "The latest census numbers indicate that, while urban areas continue to grow nationwide and will add new Congressional seats, rural areas will have less representation in Congress," Ken Anderson reports for Brownfield Network. "That scenario could make it even tougher to build support for federal farm programs." (Read more) Yes, but the current cast of characters gets one more big chance; the story fails to note that reapportionment and redistricting won't take effect until the elections in 2012, the year the Farm Bill is up for its regular five-year renewal. 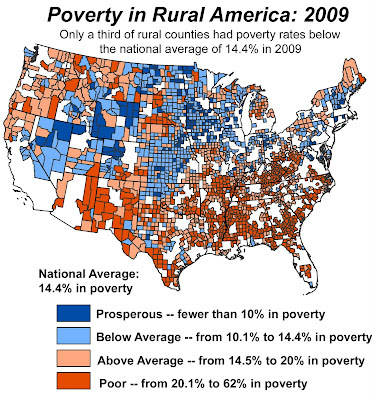 "Poverty rates in rural America are higher than in urban or exurban counties, and these rates have gone up in the recession," the Daily Yonder reports after analyzing the latest census data. "But there are large regional differences between rural regions." The Rural Blog is published by the Institute for Rural Journalism and Community Issues, which needs your help. The Institute has been able to conduct a wide range of activities and have a national and even international impact (for details click here) because of support from individuals, foundations and the University of Kentucky, which embraced the idea from the start. The university helped raise key operating grants, created a faculty line for the Institute director, picked up other costs when grant money ran out, and set aside $1.5 million in a state matching fund for an endowment. That match will expire in April, all too soon because of poor economic conditions in the nation and even worse conditions in the news business, from which we had hoped to gain most of our support. Perhaps ironically, the financial squeeze on metropolitan newspapers and other changes in the news media have made all the more important the Institute’s vision of helping rural America through journalism, because most major papers and broadcast outlets have abandoned coverage of rural areas. That has left a vacuum that rural news media must fill, covering issues and setting the public agenda in their communities. The Institute helps them do that with the blog, its website http://www.ruraljournalism.org/ and its network of academic partners at 28 universities in 18 states, from Maine to Texas to Alaska. For recent details on that work, click here. The Institute has raised $600,000 for its endowment. Not only has that money been matched by the state, we have been allowed to use earnings from the unmatched state funds, thanks to a pledge by supporters to raise the remaining $900,000 allocated for the Institute. However, any unmatched money will revert to the state this summer, so we face the prospect of a serious budget cut next year unless the endowment gets a substantial boost. Please consider making an end-of-the-year gift to the Institute. Your gift will allow us to continue the important work of supporting rural journalists and citizen involvement in public policy. You may send a check to 122 Grehan Bldg., Lexington KY 40506-0042, or donate online at https://giveto.uky.edu/CIS_p/cis.htm. Go to the gift-designation box and select Institute for Rural Journalism and Community Issues. The keynote speaker at the 56th Annual American Association of Equine Practitioners convention, held Dec. 4-8 in Baltimore, was verterianian Tom Lenz. His address was titled "Horse Welfare Wars: When Emotion and Fact Collide," reports Erica Larson, News Editor for The Horse. Citing the closing of American equine processing plants as a central issue that led to the proliferation of unwanted horses and equine welfare situations, Lenz said it is "complicated by a worldwide love affair with the horse. Uninformed people with few to no ties to the equine industry care for horses and want to have a voice in how they are treated." Snohomish County, Washington, is trying to decide how much to spend caring for abandoned horses, reports Noah Haglund for HeraldNet.com. Horse cases are more expensive compared with puppy mills or cat-hoarding, said county animal-control manager Vicki Lubrin. Beyond food and shelter, horses often require pricey veterinary care and foot trimming that Lubrin said costs about $18 a day. The county had to deal with three recent incidents for which it was not prepared. Last year, 19 horses were seized in one location, costing $60,000 for upkeep until they were adopted. In 2008, the county seized five horses from one owner and it cost the county $55,000. In a third case, 45 horses were reported to authorities as neglected, but animal-control officers worked with the owner to disperse the horses to better care. States continue to look at regulation of raw dairy products. Kathryn Tormey, writing for the Midwestern Legislative Conference, reports that in most of the Midwest, raw milk must be sold directly to consumers by farmers; in South Dakota, home delivery is permitted. Minnesota is home to a recent outbreak of E. coli that was attributed to consuming raw milk. It is one of the six Midwestern states that allow farmers to sell raw, unpasteurized milk to the public. The others are Illinois, Kansas, Nebraska, South Dakota and Wisconsin. Minnesota has struggled with a lack of resources to properly inspect facilities and ensure public health, reports Tormey. Wisconsin has regulations similar to Minnesota's, but the legislature is hoping to rework the 50-year-old law that bans most raw-milk sales. Some lawmakers hope to change the law to allow farmers, under certain guidelines, to regularly sell raw milk on the farm where it was produced in hopes to boost small farm incomes. An earlier version of the legislation passed this spring, but Gov. Jim Doyle vetoed it, citing health concerns. The editor of a small daily newspaper in the northern, rural section of Los Angeles County has been named one of five distinguished journalists to be honored by the Los Angeles Professional Chapter of the Society of Professional Journalists in March. Democratic U.S. Sen. Al Franken of Minnesota said the rules fell short of protecting rural consumers by limiting regulation of wireless providers. "Wireless technology is the future of the Internet, and for many rural Minnesotans, it’s often the only choice for broadband," Franken said. Wireless providers say they need more freedom to regulate traffic because they have less bandwidth than wireline companies. For the FCC's order, click here. FCC Chairman Julius Genachowski, whose position on the issue is closer to the middle than the other two Democratic appointees, "has argued that Internet access rules would protect companies just starting out on the Web, as well as consumers who are increasingly relying on the Internet for news, entertainment and communications," Cecilia Kang writes for The Washington Post. The rules "are designed to ensure that the Internet is not dominated by major telecommunications and cable companies," David Hatch reports for National Journal. Hatch reported earlier today, citing several sources, that Verizon Communications Inc., the nation's No. 2 telecommunications company, might try to overturn the rules in court. Telecoms might also try to get that done in Congress, but that is unlikely to happen without a Republican president. How can the White House have a Council on Community Solutions without a rural member? Our friend Bill Bishop, co-editor of the Daily Yonder, seems pretty fed up with what he calls "the Obama Administration’s single-minded allegiance to urban, credentialed experts," the latest example being the lack of any rural person on the 25-member White House Council for Community Solutions, which the president appointed last week. The legendary Rayburn was born in Roane County, Tennessee, in our part of the country, and grew up in culturally similar northeast Texas, which he represented in Congress. But just about anyone who has run for local office in a rural area knows what he meant. Bishop cites former University of Oregon president David Frohnmayer, who was a state House member: "He said running for sheriff teaches you things you can’t learn in school or in a Washington, D.C., think tank. You find out that there are a lot of people sitting around democracy’s table and that they all have a voice." For Frohnmayer's remarks, click here. Disposal of dead animals has become a bigger issue since the horse crisis started and regulations to fight mad-cow disease chased many companies out of the carcass-pickup-and-processing business. 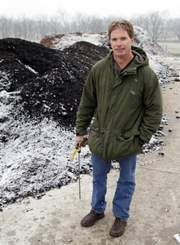 In Kentucky, more people are composting carcasses, with the help of advice from the University of Kentucky and repeal of a law that required large carcasses to be quartered before composting. eMarketer, a digital marketing research firm, estimates U.S. advertisers will spend more on Internet ads this year than on print newspaper ads -- $25.8 billion to $22.8 billion, respectively. The data appear to exclude figures for weekly papers, many of which are rural. The trend is expected to continue: "While total ad spending in the U.S. is expected to bounce back for the full year, growing 3 percent in 2010 to $168.5 billion, newspaper spending is expected to continue its decline next year. eMarketer estimates that print newspaper ad spending will slide to $21.4 billion in 2011, down 6 percent from 2010. On the other hand, online ad spending is expected to grow 10.5 percent in 2011 to reach $28.5 billion." The estimates and forecasts are based partly on data from the Newspaper Association of America, which typically does not gather data on weekly papers. (Read more) The National Newspaper Association, comprising mainly weeklies, says community newspapers are doing better than most publications. Here's a column about it, from Ken Blum. 84 percent of respondents reported an increase in the number of requests received by rescue groups to accept horses since January 2008. Most horses at the facilities (61 percent of 279) were voluntarily relinquished or donated. Horses seized by law enforcement agencies and impounded at the facility accounted for 15 percent. Owner-related issues were more likely to contribute to the relinquishment of a horse to a nonprofit organization than horse-related characteristics or unknown factors. The most oft-cited reasons for giving up a horse were financial hardship and the physical condition of the owner to care for the horse, including the death of the owner (in five cases). Within the horse-related factors, health problems accounted for almost half, followed by horses that were unsuited for the purpose of the owner, then those relinquished for behavioral issues. At the time of the survey, 69 percent of horses still resided at the facility of the organization, while 26 percent had been placed in new homes, and 5 percent had been euthanized. Just over half of the horses in the survey were considered unhealthy, which strengthened anecdotal claims that horses become unwanted in many cases due to medical problems. However, 47 percent of the horses were reported to be healthy, supporting statements by the nonprofit organizations that many unwanted horses are healthy or can be rehabilitated and are simply in need of good homes. Tuesday, Dec. 21 is the deadline to apply for an expenses-paid fellowship to the sixth annual H.F. Guggenheim Symposium on Crime in America, to be held Jan. 31 and Feb 1 in New York City. The overall theme of the symposia are "Law & Disorder: Facing the Legal and Economic Challenges to American Criminal Justice." The symposium is presented by the Center on Media, Crime and Justice in the John Jay College of Criminal Justice at the City University of New York. Fifteen fellows will be an awarded an all- expense-paid, three-day trip to attend, and those chosen will be required to attend both days of the conference in its entirety. Meals and local travel will be provided for all fellows. The center seeks applications from journalists in a variety of beats (education, politics, health, crime, courts, etc.) to submit project or research ideas based on the major theme of the upcoming conference: "Criminal Justice Reform: What Works? What Doesn't? What Don't We Know?" The topics could include: crime and punishment (sentencing; prisons); science and crime (forensic issues, etc. ), issues linking crime with environment, the economy, urban affairs or education trends; race and criminal justice; juvenile justice; homeland security and civil liberties; courts; new crime prevention and policing strategies, etc. Applications should focus on the intersection of reporters' assigned beats with criminal justice, and be related to work in progress or proposed work slated for publication. The project should be supported by a senior editor, with a letter attesting to the commitment. Freelancers are encouraged to apply. The project pitch should be 300 words and the application should also include a 150-word biography. Apply online at www.jjay.cuny.edu/cmcj by 11:59 p.m. Dec. 21. Journalists can access applications, contest rules and contact information at www.jjay.cuny.edu/cmcj. Fellowships will be announced Jan. 6. The fellows' work will be published on http://www.thecrimereport.org/, a criminal-justice news service published by the Center on Media, Crime and Justice and Criminal Justice Journalists. For more information, contact Deputy Director Cara Tabachnick at 212-484-1175 or ctabachnick@jjay.cuny.edu. UPDATE, Dec. 21: "Efforts to salvage pieces of Senate Majority Leader Harry Reid's public lands, water and wildlife omnibus legislation are failing as senators place holds on bills offered for fast-track consideration," E & E reports. "Sponsors of some key proposals declared defeat today, while Republican leaders said there was too little time in the home stretch of the lame-duck session to work out outstanding concerns about the costs and economic and regulatory implications of the individual measures." Senate Majority Leader Harry Reid today filed a catch-all bill "aimed at improving and protecting public lands, waterways, ocean resources and wildlife -- which Republican leaders have already threatened to block," reports Paul Quinlan of Environment & Energy News. Prospects for passage in the final days of the lame-duck Congress are unclear. The bill would add to the national park system the Valles Caldera National Preserve in New Mexico and create the Waco-Mammoth National Monument in Texas and the Chimney Rock National Monument in Colorado. It would create national heritage areas in the Alabama Black Belt and the Susquehanna River Gateway, and the Devils' Staircase Wilderness Area in Oregon. For a copy of the bill, click here; subscription may be required. Florida's recently elected agriculture commissioner says he wants to play a key role in the state Board of Education's plans to include school nutrition. "The board was supposed to discuss cutting back on sugary drinks, including chocolate milk, in schools next week — a proposal that has spurred complaints from the dairy industry and school districts," Denise-Marie Balona of The Orlando Sentinel reports on the Sentinel School Zone blog. But Ag commissioner-elect Adam Putnam "sent a letter recently asking board members to put off that debate until he takes office and the state Department of Agriculture can help the state Department of Education take a closer look at the overall issue of foods offered on campus," Balona writes. The U.S. Department of Agriculture is considering a shift in its policy by imposing geographic limits on where genetically engineered alfalfa can be grown. "Farmers who grow conventional or organic alfalfa went to court to block sales of Monsanto Co.’s biotech alfalfa because of concerns that it would contaminate seed supplies," Philip Brasher of the Des Moines Register reports on the Green Fields blog. "Agriculture Secretary Tom Vilsack, who has been criticized by anti-biotech activists who claim he’s too close to Monsanto and other biotech companies, says his department needs to start taking into consideration the impact that genetically engineered crops can have on non-biotech farmers." "We see a key role for each of the sectors in meeting our global and domestic food needs, in increasing sustainability and in enhancing farm profitability and in economic development," Vilsack told Brasher, adding that biotech and non-biotech sectors need to "thrive together." USDA's alfalfa environmental impact statement lays out two options for the genetically engineered crop: "deregulate it completely so that it can be grown anywhere or impose geographic restrictions and isolation requirements for the crop," Brasher writes. "Restrictions would be tighter in the western states that are the biggest seed producers. Growers of the biotech seed would be required to keep fields five miles away from conventional alfalfa." UPDATE, Dec. 23: U.S. District Judge Amul Thapar ruled in favor of the Department of Labor, Berkes reports. "Massey has already announced it will close the mine, but it does not argue in its motion that its voluntary shutdown makes the case moot. It doesn't even mention its intent to close Freedom for good. That may be an indication that Massey wants to make a strong statement with a court decision that could effectively kill the option of going to federal court again to force mine operators to comply with safety regulations," Berkes reports. 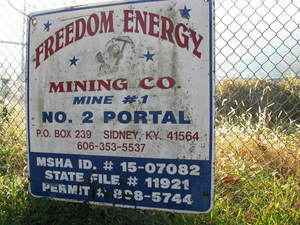 The "injunctive relief" option that allows MSHA to close a mine for repeated safety violations has been on the books for 33 years but has never been used. The agency's action "is part of the Obama administration's purported get-tough response to the deadly explosion at Massey's Upper Big Branch mine in West Virginia in April," Berkes notes. The Bureau of Land Management has designated 22 million acres of federal land that could be used for large solar-power installations and a draft environmental impact statement, avaialble here. 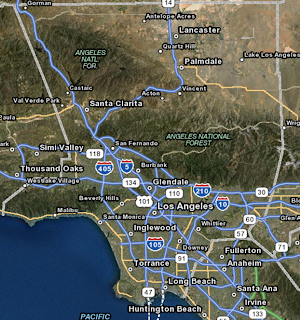 For state-by-state maps of the designated lands, click here. Meanwhile, some companies are touting "environmentally friendly formulas" to help alleviate those fears, Ryan Dezember of The Wall Street Journal reports. "Houston-based Halliburton—the No. 1 shale driller in the U.S.—is rolling out a fracking-fluid product called CleanStim that it says consists exclusively of compounds used in processed foods," Jim Brown, Halliburton's Western Hemisphere president, recently told a group of investors "The same components to make this stuff are used to make ice cream and brew beer." "Baker Hughes last week launched a line of products called BJ SmartCare that lets well owners customize their fluids based on factors such as toxicity and flammability," Dezember writes. "It declined to specify what most of the ingredients are, but they include fatty acids, essential oils and guar gum, which is found in toothpaste and ketchup." Flotek Industries Inc. says it has completed successful trials of biodegradable fracking chemicals, and oil and gas producer Devon Energy Corp. has already begun using some of the new formulas in its wells. "The industry as a whole is going that way," Chip Minty, a spokesman for Devon, which has substantial shale-gas operations in Texas, Oklahoma and Louisiana, told Dezember. Halliburton noted CleanStim would add about 5 to 10 percent to its drilling costs, while Baker Hughes said its environmentally friendly formula would have a "minimal impact" on cost. "So far, Halliburton has tested CleanStim on 13 wells and has begun to offer it to customers," Dezember writes, noting an executive said "the cost of CleanStim will fall once it catches on and Halliburton can buy larger volumes of ingredients, such as maltodextrin, a sweetener and shower-gel component, and organic ester, which is found in liquid egg products and hairspray." (Read more) That sounds encouraging, but it should be noted that the effectiveness of chemicals might vary depending on the depth and nature of shale formations. UPDATE, July 6: "The company has only a year left to begin construction of its controversial coal-fired plant in western Kansas, but a legal challenge to the plant’s air-quality permit is blocking progress," the Kansas City Star reports. "Sunflower’s solution is an unusual one: Ask for a rare type of deadline extension." UPDATE, July 22: The extension was granted. The Kansas Department of Health and Environment today announced approval of a permit for a coal-fired power plant that has stirred years of debate among coal, environmental and electricity interests, including rural electric cooperatives. 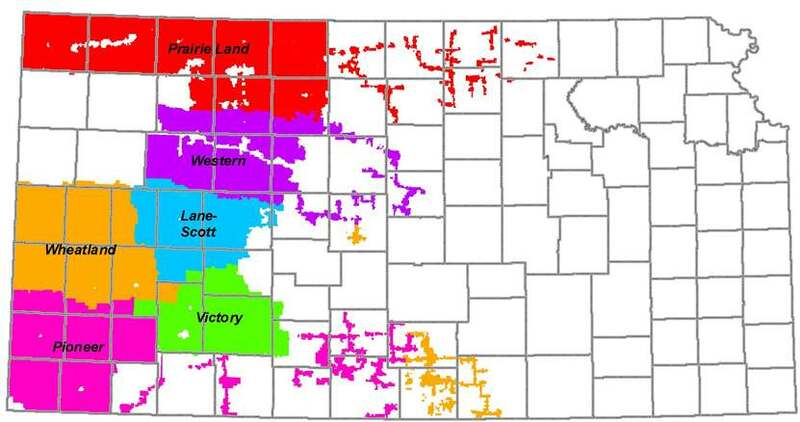 Sunflower Electric Power Corp., comprising six rural electrics in western Kansas (co-op map; click for larger version), plans to sell much of the plant's power to Colorado utilities serving the metropolitan area of the Front Range. "Although the final permit is expected to face challenges from environmental groups and will be reviewed by U.S. EPA, today's decision clears the biggest procedural hurdle that had been standing in front of the 895-megawatt power plant," reports Gabriel Nelson of Environment and Energy News. "The permit is a defeat for groups that have made the Sunflower proposal a symbol of a national campaign against new coal-fired power plants." "Receiving an air-quality permit was a huge victory for Sunflower . . . because it comes just days before federal regulations take effect requiring more expensive technology to control greenhouse gases," Karen Dillon of the Kansas City Star reports. Does the big, catch-all spending bill hanging fire in Congress have an earmark for your community or region? You can get an idea by downloading a database of the nearly 40,000 requested earmarks, totaling $130 billion, here. It's a zipped, 12 MB Excel spreadsheet. "It is impossible to know ahead of time which earmarks will appear in the Continuing Resolution finally enacted," the Society of Environmental Journalists notes. 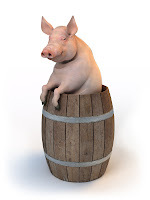 The database was produced by Taxpayers for Common Sense, WashingtonWatch.com, and Taxpayers Against Earmarks. While most Republcians in the Senate recently joined those in the House in opposing earmarks, they have not applied that policy to earmarks they requested earlier this year. Bill Bishop of the Daily Yonder writes about the collapse of Eastern Livestock, a company based in New Albany, Ind. "The losses are still coming in, but already it appears that Eastern Livestock has done for rural America what Bernie Madoff did for Manhattan," writes Bishop. At last count, Eastern may owe 740 ranchers in 30 states as much as $130 million for cattle sold but never paid for. The firm issued $81 million in bad checks Nov. 3-9, and trucking firms say they are owed hundreds of thousands. Superior Livestock, an online and satellite auction service, says Eastern owes it more than $19 million, and Cincinnati-based Fifth Third Bank says Eastern has defaulted on a $32 million loan and has overdrawn its account by $13 million, according to DTN’s Katie Micik. The bank says Eastern is "engaged in a massive check-kiting scheme." The workshop series about competition in the agriculture industry has resulted in better communication between the U.S. Department of Agriculture and Department of Justice, say department leaders. USDA Secretary Tom Vilsack "noted that the Agriculture and Justice departments have already established a new process to handle complaints for unfair and deceptive practices in the poultry industry, and that USDA's Grain Inspection, Packers and Stockyards Administration last summer published a proposed rule designed to increase fairness in the marketing of livestock and poultry," Jerry Hagstrom of the Capital Press reports. School officials in a rural Massachusetts county have called a special meeting to respond to an editorial in The Boston Globe, which said they are too numerous and "serve at the pleasure of small town officials unwilling to sacrifice even a modicum of control over their schools, even if doing so would benefit their children." The editorial notes the New England School Development Council said placing all the schools in Franklin County in western Massachusetts under one district would save $2.8 million in administrative costs. The Globe contended, "No place in Massachusetts is in greater need of regionalization than the 26 communities of Franklin County — and nowhere is the upside of combining forces more evident." Franklin County (Wikipedia map) is no longer a governmental entity but provides a regional identity for 26 communities with nine school superintendents, "30 school principals and 20 school committees spread across a county with only 9,750 students, according to the editorial," reports Mackenzie Issler of the Greenfield Recorder. The county's School Committee Caucus, which was formed to present a unified voice for the county's schools, has not taken a position on regional school systems, but member Marcia Day told Issler, "It has historically been opposed to the concept of top-down decisions by the state education department about whether and how districts should collaborate or consolidate." Lawmakers recently convened in Boston for the first meeting of a legislative commission tasked with "finding ways to bring about more collaboration and regionalization of small, rural school districts like those in Franklin County," Issler writes. Leverett School Committee Chairman Farshid Hajir, the only representative from Western Massachusetts on the commission, brought up the Globe editorial at the meeting, noting "the insensitive, derogatory and untrue characterization of its school districts and school committees." The chair of that commission warned that regionalization is still on the agenda for state legislators, and if "local schools don't move toward more collaboration and regionalization themselves, the state will likely step in," Issler writes. 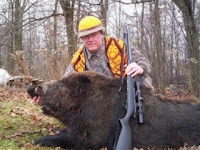 NRA campaign dough begets loose gun laws; will it keep open U.S. gun pipeline to Mexico? The Washington Post has produced a multimedia, multi-part investigation, "The Hidden Life of Guns." The series began in October and continues today. The most recent installment, by Sari Horwitz and James V. Grimaldi, tracks the influence that the National Rifle Association has had on political elections and the Bureau of Alcohol, Tobacco, Firearms and Explosives. "With annual revenue of about $250 million, the group has for four decades been the strongest force shaping the nation's gun laws. ... The gun lobby has consistently outmaneuvered and hemmed in ATF, using political muscle to intimidate lawmakers and erect barriers to tougher gun laws. ... The source of the NRA's power is its focus on one issue and its ability to get pro-gun candidates elected." In the past two decades, the NRA has spent more than $100 million on lobbying and campaign support, while the ATF has been without a permanent director since 2006. The Obama administration nominated a gun-control advocate for the job, but the nomination has little hope of passing. The NRA "is clearly the most powerful lobby in the United States," said William Vizzard, a former ATF agent who is now a criminal-justice professor in California. "The NRA has shaped gun policy and shaped the ATF." The Obama administration supports a study of the effects of natural-gas drilling in the Marcellus Shale in upstate New York but doesn't want to wait for the results of the investigation to begin drilling in the area. "Gen. Peter 'Duke' DeLuca of the Army Corps of Engineers outlined the position in a letter written to Rep. Maurice Hinchey (D-N.Y.) and released today," Mike Soraghan of Greenwire reports for The New York Times. "The letter offers the first indication of the administration's position on gas drilling in the Northeast since the day after the Nov. 2 midterm election when President Obama highlighted gas drilling as a potential area of common ground with Republicans." The drilling would take place in the watershed that supplies drinking water to New York City and Philadelphia. "DeLuca, the Army Corps' North Atlantic division engineer, is the federal representative on the Delaware River Basin Commission, which is developing regulations for gas drilling in eastern Pennsylvania and upstate New York," Soraghan writes. Hinchey and local environmentalists want the commission to maintain a drilling moratorium until results of the study are available, a process that could take years. 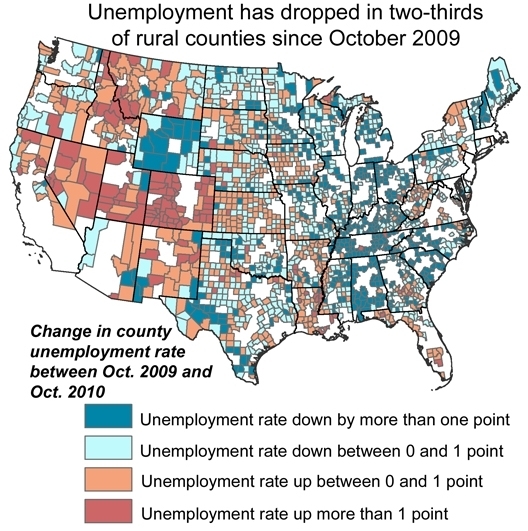 Two-thirds of rural counties saw an increase in jobs between October 2009 and October 2010, but unemployment rate dropped just one tenth of a percent from September 2010 in rural, urban and exurban counties. The national rural unemployment rate stood at 8.8 percent in October, slightly less than the national rate of 9 percent, Bill Bishop and Roberto Gallardo report for the Daily Yonder. 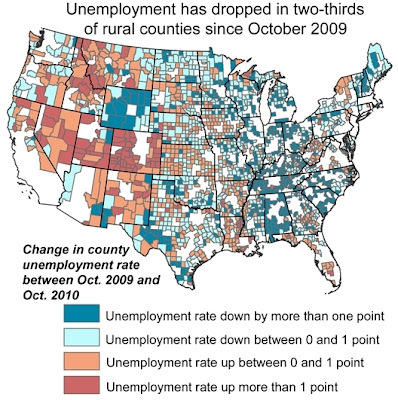 "Generally, the rural communities that were hit the hardest by the recession initially show the greatest decline in unemployment rates over the last year," Bishop and Gallardo write, pointing to the Carolinas, Alabama, Tennessee, Indiana, Ohio and Michigan as examples. The majority of the country's most rural counties lost even more population over the last decade, says new data from the Census Bureau. Some of roughly 1,400 counties with fewer than 20,000 people, "particularly those in the Mountain West — saw population gains that may be the result of retirees striking out for areas that are both scenic and affordable," Dough Smith and Richard Fausset of the Los Angeles Times report. The data, which also showed a growing Latino presence in those counties, offer the first detailed portrait of heartland America in a decade, Smith and Fausset write. "Such data had been hard to come by previously," the reporters write. 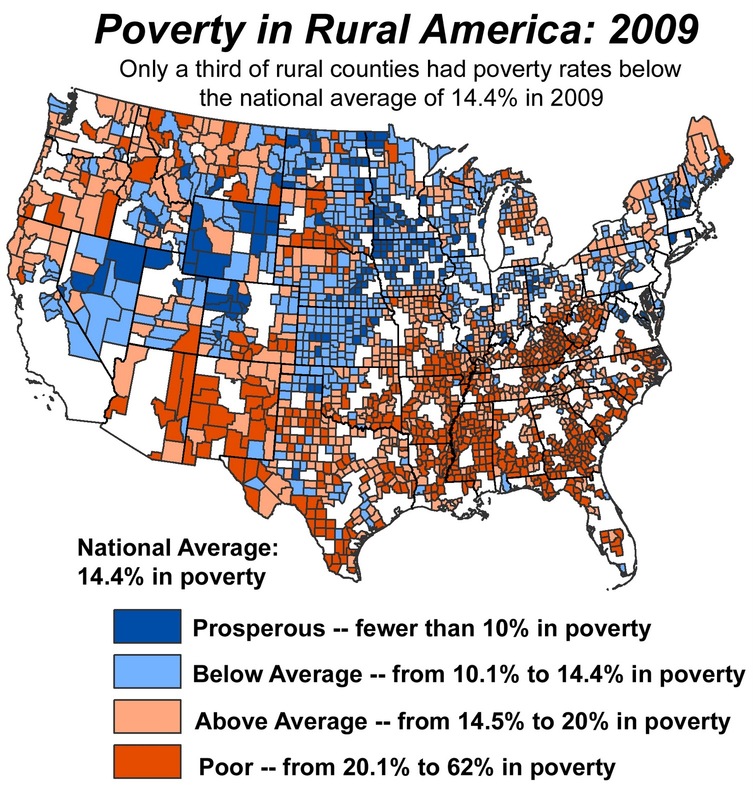 "Concentrated from the Mississippi River to the Rocky Mountain region, the counties constitute half of the United States by area, but were too sparsely populated to provide meaningful statistics as the Census Bureau rolled out a new yearly national survey in the mid-2000s." The new data, from the American Community Survey, compensates for low number by averaging results over five years. "That makes some of the data difficult to interpret, particularly income figures, because the five-year period spans the pre-recession boom, the recession and the beginning of the recovery," Smith and Fausset write. Financially squeezed newspaper chains are consolidating their operations, especially in smaller towns. Sometimes it's the press and the pressroom employees, and/or the copy desk, with one or both functions being transferred to larger papers. Folks at the Winston-Salem Journal, circulation 60,000 in a city of 215,000, never thought they would lose their copy desk. But they are, as Media General Inc. moves its copyediting to its big papers in Richmond and Tampa. More than one of the 18 people on the desk, interviewed for a YouTube video, called the move "inconceivable." One voiced the concern that has arisen in many smaller towns, that copy editors in distant places won't catch mistakes and even make correct copy erroneous. "If you can't know that Robinhood Road is one word, and you keep putting it in the newspaper as two words, that's your credibility," Karen Parker said, citing a significant local road. "Why should anybody believe that you're right about anything else? And a newspaper runs on its credibility. Its success is its credbility, not its bottom line." "We're just going to be forgotten," Jones told Berkes, while mine disasters are "going to continue and continue and continue to go on. We need it fixed." He pointed out that in the national outpouring of support following the disaster, "They mourn for you, and it's unbelievable how this nation came together. But if [we] don't speak out and continue to speak out, it's just forgotten." Gene's mourning turns from grief to anger when he considers Dean's complaints he made about safety at Upper Big Branch. 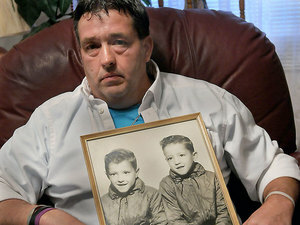 "Alice Peters, Dean's mother-in-law, testified in a congressional hearing in Beckley in May that Dean had been threatened with dismissal seven times because he resisted putting his crew in danger," Berkes writes. Because Dean's insurance provided for his 14-year-old son with cystic fibrosis, "Dean needed his job to make sure his son could get the medical care he needed," Peters testified. Gene noted that in the eight months since the explosion that killed 29 miners, Congress has rejected mine safety reform, the investigations of the explosion drag on, and Massey Energy retiring CEO Don Blankenship will receive at least $12 million, four times the amount of the settlement that Massey offered his family. The Obama administration pledged $19 billion of stimulus package funding to convert the nation's hospitals to electronic health records, but the conversion has been slow. "Only about one in four doctors, mostly in large group practices, is using the electronic record system," Milt Freudenheim of The New York Times reports. "A vast majority of physicians in small offices, the doctors who serve most Americans, still track patients’ illnesses and other problems with pen and paper." A recent report on North Carolina hospitals in the New England Journal of Medicine reveals deadly medical errors are still all too common. The Food and Drug Administration notes "parts of a patient’s electronic medical records have disappeared or been saved in the wrong patient’s file," Freudenheim writes. "Incorrect entries have sometimes been posted for drug allergies and blood pressure readings, the agency said." To tackle those concerns, the Institute of Medicine created the Committee on Patient Safety and Health Information Technology to run a yearlong study and issue recommendations. "We said we value innovation, but we don’t value it more than safety," said Kenneth W. Goodman, a University of Miami bioethicist who headed an association advisory group on patient safety. In November we reported that the New York Assembly had approved a six-month moratorium on hydraulic fracturing. On Saturday, Gov. David A. Patterson vetoed that legislation in favor of an executive order that more narrowly defines the types of drilling to be restricted. Patterson's executive order includes a fracking moratorium until July 1, 2011, a period longer than the one specified by the bill, Tom Zeller Jr. of The New York Times reports. "This legislation, which was well intentioned, would have a serious impact on our state if signed into law," Paterson said in a prepared statement. "Enacting this legislation would put people out of work – work that is permitted by the Department of Environmental Conservation and causes no demonstrated environmental harm, in order to effectuate a moratorium that is principally symbolic." Fracking, a controversial drilling technique, "uses the high-pressure injection of water, sand and a variety of chemicals to crack and prop open shale seams and more economically release gas deposits," Zeller writes. "Industry groups have argued that the process is safe, but opponents fear that those chemicals, or displaced natural gas, could be leading to the contamination of drinking water in places where fracking is already well under way, including large portions of Pennsylvania." The vetoed legislation would have implemented a fracking moratorium until May 15, 2011. "Industry representatives complained that such a sweeping moratorium would outlaw virtually all drilling in New York, including its portion of the Marcellus shale, a vast and deep deposit of natural gas stretching under several states," Zeller writes. Patterson's order distinguishes between vertical wells and "horizontal drilling" techniques. "The governor’s order restricts permits for 'high-volume, horizontal hydraulic fracturing,'" Zeller writes. Three years ago Eastern Oregon University was on the brink of collapse. This fall enrollment hit a record 4,137 students. 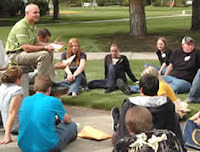 School administrators say the key to the turnaround focusing on recruiting rural students, Bill Graves of The Oregonian reports. "We are a rural university," President Bob Davies, who arrived on campus in July of 2009, told Graves. "We serve a group that is unique to us." Eastern Oregon draws more than half its campus from east of the Cascades, an area that "is bigger than Florida and nearly the size of all of Washington, yet it contains only 529,100, or 14 percent, of Oregon's people," Graves writes. Wisconsin Department of Natural Resources Secretary Matt Frank said his state has more than 700 wolves, “nearly twice the level prescribed by the Wisconsin Wolf Management Plan,” and “Problems with wolves killing valuable livestock and hunting dogs have grown to intolerable levels.” For the service's Web page on the gray wolf in the region, go here. In Kentucky and Ohio, the states' education departments are working on creating an online school program for use during snow days, reports Cindy Kranz for the Cincinnati Enquirer. In Ohio, the state has already launched a pilot project to provide online assignments to snowbound students as a way to satisfy the requirements of a school day. In Kentucky, the education department is planning its own pilot program, as early as next year, asking the districts in eastern and central Kentucky that often miss up to three weeks of school due to inclement weather, to participate. For rural students, treacherous or impassable roads often close schools for extended periods of time. Online classwork could help reduce the number of snow days, but not before a number of hurdles have been cleared, including lack of home Internet access for many children. Brad Hughes, spokesman for the Kentucky School Boards Association, said superintendents with high numbers of snow days would prefer that students not have the big gap in learning that snow days create. But they have to be able to reach all of the kids. "It's not impossible, but we don't have in many of those counties the Web-based infrastructure to pull it off right now," said Hughes. Courts in Western Alaska are now fining parents if their children are truant. Kyle Hopkins writes for the Anchorage Daily News that parents can be fined hundreds, sometimes thousands, of dollars if their kid misses too many days of class, according to court records and rural school district officials in Alaska. The laws regarding truancy are not new, but whether parents get a ticket depends partly on where they live, reports Hopkins. The Anchorage school system has not pursued a truancy violation in the past 10 years. In some rural districts are increasingly turning to the mandatory-attendance laws in hopes of boosting test scores and slashing dropout rates, writes Hopkins. The biggest loser if earmarks are limited may be Mississippi, which "pulls in 11 times as much in earmarked funds as it sends back to Washington in taxes, according to an analysis from Brandon Arnold, director of government relations at the Cato Institute, a libertarian group," Prah writes. The University of Southern Mississippi recently received a half million dollars worth of earmarks for its cannabis eradication program, which is designed to help law enforcement officials detect indoor marijuana growing operations. That money was "tucked away in the federal Commerce, Justice and Science appropriations bill for fiscal year 2010," Prah writes. "These states will still get federal funds" if an earmark ban goes through, said Steve Ellis, vice president of Taxpayers for Common Sense, "but no doubt about it, they will get dinged." Earmark supporters say a ban would "would rob lawmakers of their authority to set the spending and taxing policies of the nation, relinquishing it to the executive branch," Prah writes. Both sides of the argument agree a ban on earmarks is symbolic; they account for only about 1 percent of federal spending.